A real snake is not only a reptile, but it’s also those terrorists who attacked Sri Lanka killing innocent people. I have 9 days to finish my school assignments so I haven’t written the next bit about my holiday in Playa del Ingles. But it will come. It will take just some time. I’m just taking a break from my busy schedule to write this post. Busy in a way that I also have other things to do and places to go. 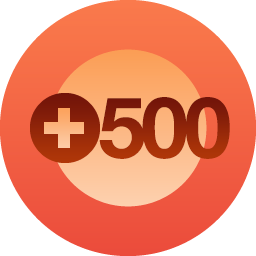 I finally reached 600 followers on this blog so thank you so much. I never thought I would get that many but 4-5 years later here it is. Time goes so fast I lost count how long I have blogged. According to the stats, this is the 6th year. At least I gained some experience from something. Besides school work in Helsinki Design School is to make a portfolio. It’s part of the education. I asked my classmates on Facebook if anyone has started theirs but no one had. So I’m not the only one. It’s nice to know there are others in the same boat so you don’t need to feel alone. We have 4 more meetings in school before the portfolio presentations. The school ends on June 15. There is still time. Until the deadline is coming sooner than you think and then you’re screwed. I hope it won’t come to that. I already thought about in what format it’s gonna be so that’s better than nothing. So there is the update. I’m mostly busy with thinking about design so my mind is not in writing about my holiday. As soon as my assignments are finished, then I can write about that. Until then I’m a busy bee. Mentally. I wish I was as confident in design as I am at writing fan fiction. I can use my imagination in that but not when it comes to other creative things. I feel I never gonna be any good. Even in the school assignments we have at Helsinki Design School feel like I have no talent at all. I can do crap probably but nothing someone would pay me for. Especially when it comes to drawing and illustrations. One of the assignments is to make a poster about your city or make something up. It should work as an outdoor advertisement. I make one of my city. I have this thought in my head the feedback will be “it looks too computerized” Like I got in the feedback on the Christmas card I did. I have the ideas but when it comes to making them, it’s totally different. Drawing on a computer isn’t easy when you only have a mouse. But I don’t think I can draw that well on a paper either. Please drop me a bag of confidence at my door because all I do is putting myself down. Posting drawings online or photos don’t get much attention. People just want to be nice instead of telling me how bad they look. If you got nothing good to say, don’t say anything at all, I suppose. The ability to draw isn’t important in graphic design though. There are so many better ones out there. If every designer could draw, there would be more unemployed illustrators. I shouldn’t feel bad about not knowing to draw because I’m good at other things. There are so many good graphic designers so you feel like you’re garbage compared to them. I watched on Youtube a few portfolios where people show with motion graphics what they’ve studied and what projects they worked on. Most of them are in their 20s. How can you compete with them? They get a job before you ever do. I wish I knew at 20 what I wanted to do. Maybe I would got better or realised I’m not good enough and I would start over with something else. You need to have good ideas when you work with design but mine is not. I never get any new perspectives or fresh ideas. It feels like I’m not made for design. But there are other people who think the same some time in their life. It’s called imposter syndrome. Anyone can feel they’re not good enough. Also in life, you can feel you’re lying to yourself about your abilities. You don’t get better overnight. It takes time. I just hope it won’t take for years for me. Design is not the only thing I don’t have enough confidence in. Also starting something on my own. It seems I won’t find a job in the open market. All they want is someone with years of experience and almost perfect skills. And young of course. Finland now has a new government but that won’t change anything when it comes to job search. If you have your own business there’s a lot of bureaucracy and also all about making a brand etc. It would be easier to get a job with someone else but when you can’t get one, what can you do. I keep thinking about this situation I’m in and there is no way out. If I don’t have confidence in my graphic design skills, how can I feel confident in entrepreneurship? I keep my goals small and one of them is finishing this graphic design education. What comes after that is a mystery.